Notes & News for the Monster Energy Cup Series at Richmond Raceway The 0.75-mile Richmond track, which has hosted the final regular season race for years, now becomes a vital Playoff venue. Federated Auto Parts 400 at Richmond Raceway. Brad Keselowski earned his third consecutive win Sunday in Las Vegas and, also for the third consecutive time, hoisted the trophy without leading the most laps. His No. 2 Team Penske Ford team has obviously figured out how to be out front when it matters most. In the last five races, he’s had three victories and a runner-up at Michigan. Martin Truex Jr. reclaimed the Monster Energy NASCAR Cup Series points lead for only the second time this season, thanks to a third-place effort in Sunday’s race at Las Vegas and up-front showings in the opening two stages. It’s the first time the reigning Cup champion has been atop the points standings since a one-week turn there after he won at Fontana, Calif. in Week 5 of the season. He sits second on the Playoffs leaderboard behind Brad Keselowski with one win in the Round of 16. "We’re at a point where that short track mentality at Richmond could make for a crazy night, especially with late-race restarts," Truex said. "You know some of the guys are going to do whatever it takes to try and get locked into the next round and that could cause some havoc. You never know, but definitely need to be prepared for all possibilities. 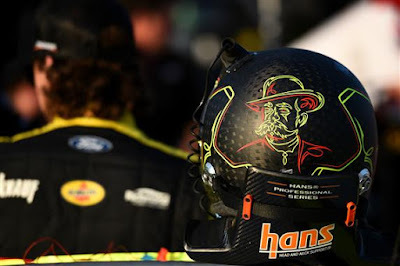 at Richmond Raceway on September 21, 2018 in Richmond, Virginia. 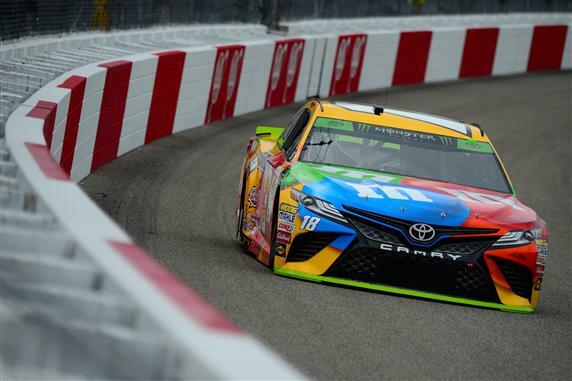 Kyle Busch is the all-time winningest active driver at Richmond with five victories – a total behind only the sport’s Hall of Fame greats such as Richard Petty (13 wins), Bobby Allison (seven), Darrell Waltrip, David Pearson and Rusty Wallace (seven wins). "I love Richmond,’’ Busch said. "It’s one of my favorite racetracks and one of my best racetracks. I love being able to go there and, of course, we put on some pretty good races there. We won four spring races in a row and I would have loved to have made it five or more. It’s a neat racetrack and it’s certainly an excitement track and there is a lot of action that happens there." One of the most disappointing finishes at Las Vegas undoubtedly belonged to the season’s winningest driver. Seven-race winner Kevin Harvick crashed out early and finished 39th, collecting fellow Playoff driver Erik Jones in his crash. 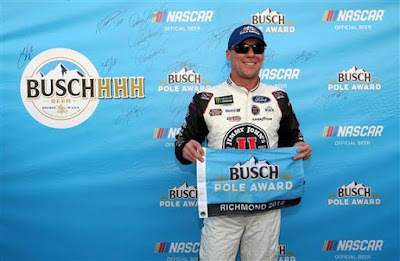 The good news for Harvick is he still maintains the season’s top driver rating (114.8 compared to Kyle Busch’s 110.6). Cup Series Federated Auto Parts 400 at Richmond Raceway. Not only did Keselowski lead the three-car Team Penske parade to victory, the entire team finished among the top-five. Joey Logano was fourth and Ryan Blaney was fifth – the first collective top-five for the team this season. All things are looking up at precisely the Playoff time they’d like it to. In addition to Keselowski’s three straight wins entering the Richmond race this weekend, both Blaney and Logano are turning in championship-contending statistics as well. Four drivers find themselves in a more intense Playoff situation than they’d like – all taken out of contention in accidents during Sunday’s Las Vegas race. 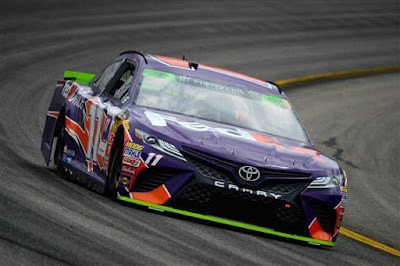 As they arrive in Richmond, Hendrick Motorsports teammates Jimmie Johnson and Chase Elliott, and Joe Gibbs Racing teammates Erik Jones and Denny Hamlin are ranked 13-16th, respectively - all facing elimination before the second round of the Playoffs if those slots hold. Israeli driver Alon Day will be making his 2018 Monster Energy Series debut this weekend driving the No. 23 BK Racing Toyota at Richmond. The 26-year-old Tel Aviv native won the 2017 NASCAR Whelen Euro Series championship. Several non-Playoff eligible drivers finished the day smiling at Las Vegas. Daniel Suarez, Ryan Newman and Paul Menard finished eighth, ninth and 10th, respectively. It marked back-to-back top-10s for Newman and Menard, who were 10th and ninth at Indy a week before. Regan Smith, who is substituting for Kasey Kahne in the Leavine Family Racing Chevrolet, was 12th – the highest finish for the No. 95 this season outside of Kahne’s fourth place run in the summer Daytona race. Corey LaJoie finished 16th – his best showing of the season and second-best Monster Energy Series finish after an 11th-place at Daytona International Speedway in the summer of 2017.